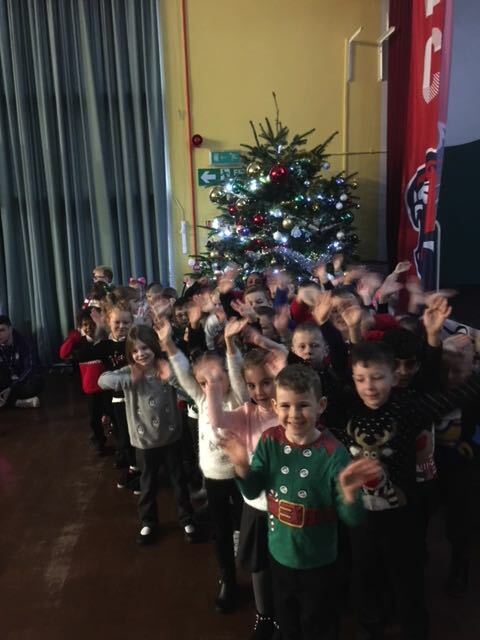 We started Xmas with a bang …. 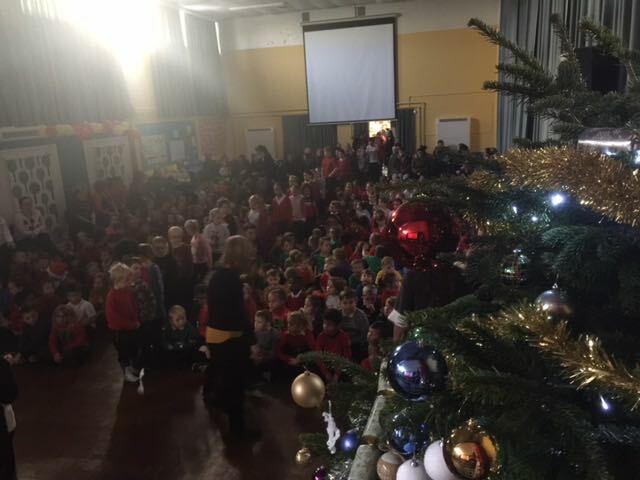 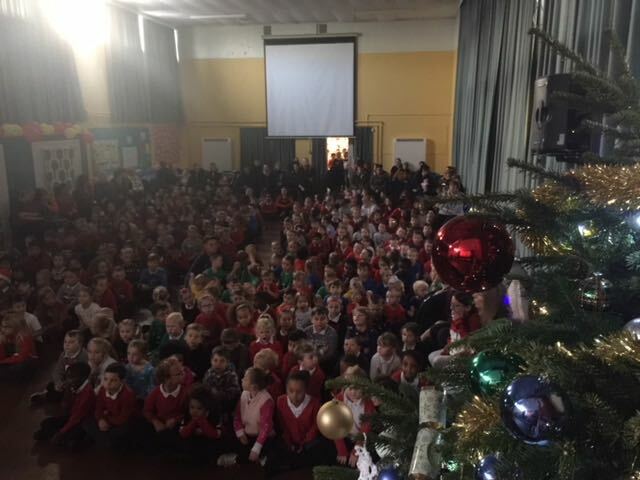 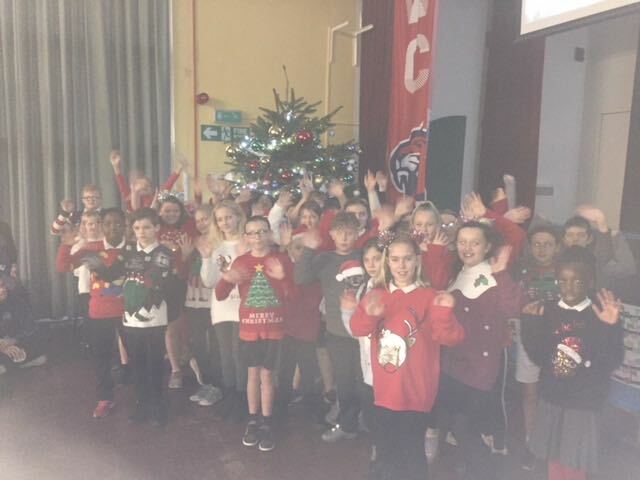 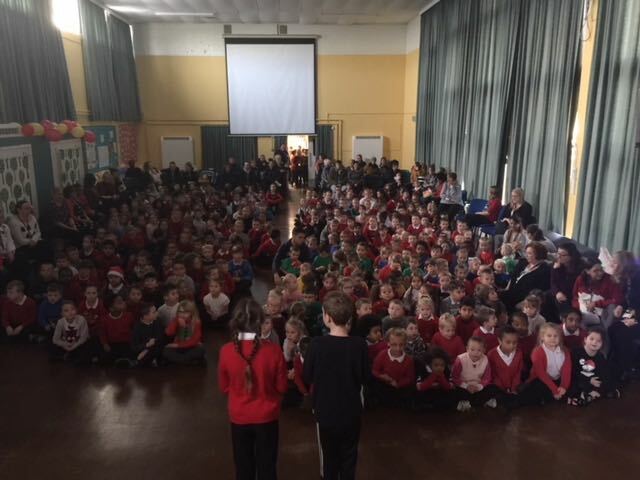 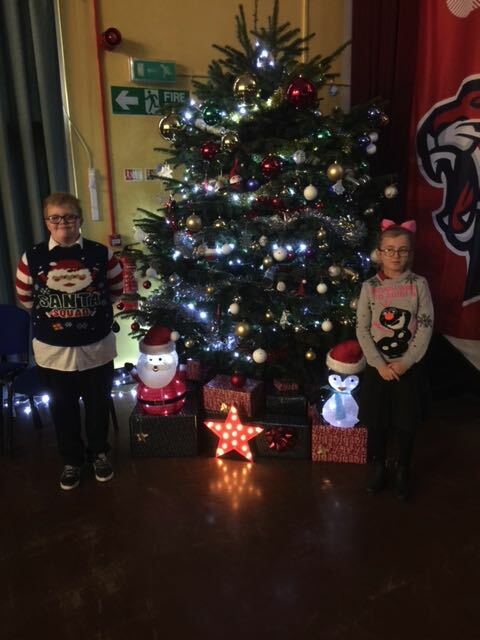 as Riley and Tegan switched on the Xmas lights on in front of a sold out assembly…. 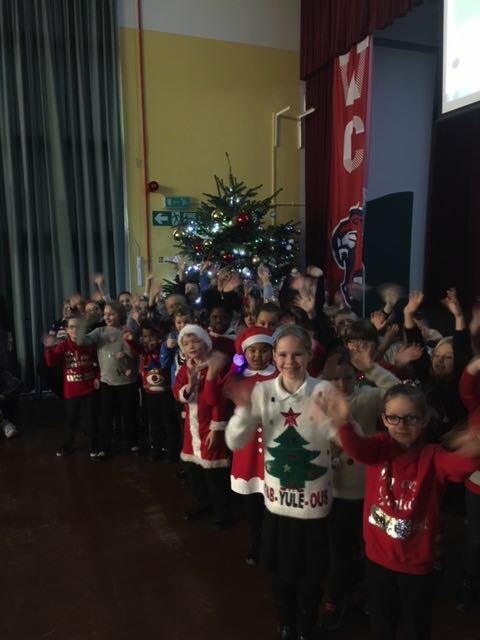 Xmas jumpers for all December. 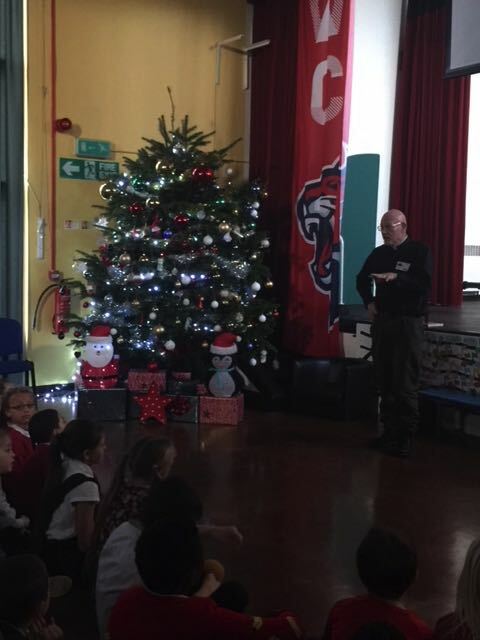 We welcomed Reverend Mike to our Advent Assembly. 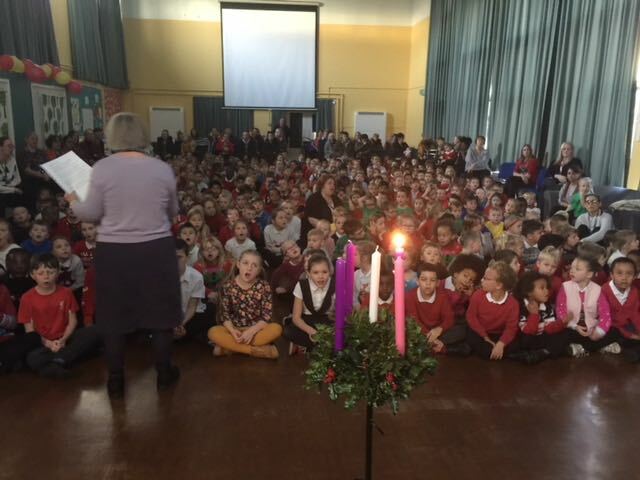 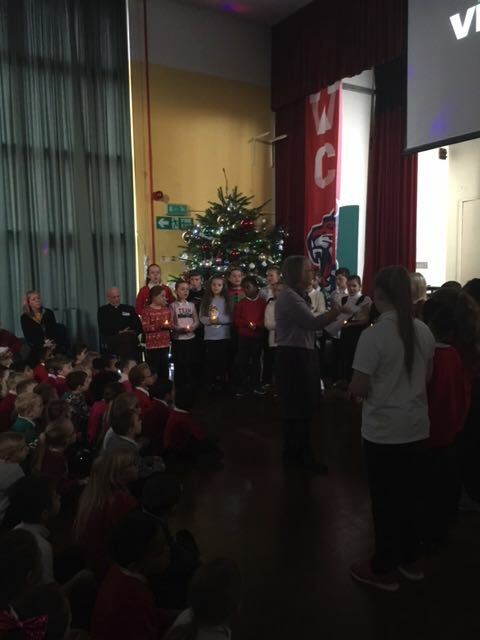 Mrs Ellerby’s choir sang beautifully as he lit the first candle of advent. 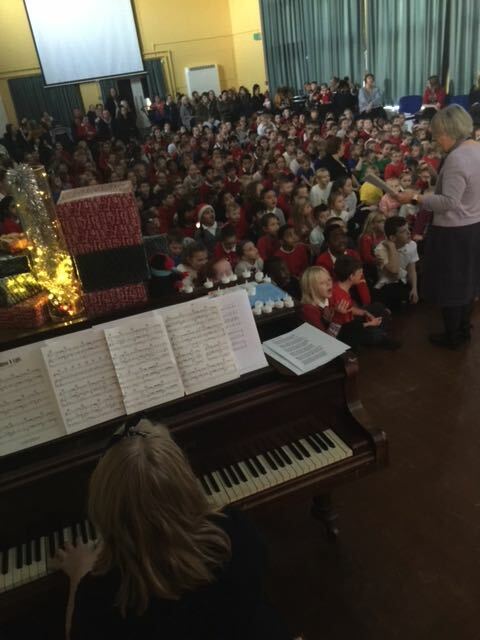 With Mrs Dawson playing the piano it was a tear jerking occasion.